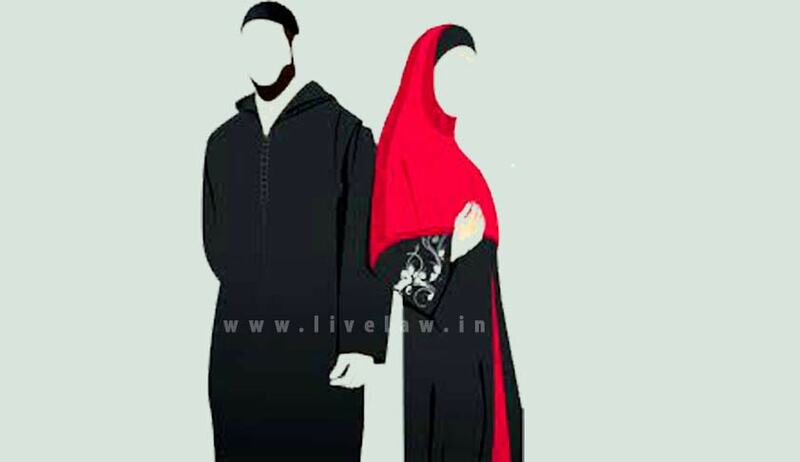 Holding that Personal laws of a community cannot be re-written in the name of social reforms, All India Muslim Personal Law Board (AIMPLB) in an affidavit filed in the Supreme Court today came up with the following main grounds to defend the controversial practice of triple talaq (talaq-e-bidat) and nikah halala. A bench headed by Chief Justice T S Thakur is examining the validity of the practices on the plea of several aggrieved women and NGOS questioning the constitutional validity of the practices and examining if these end up in gender discrimination of Muslim women. (i) The questions raised in the present Suo Motu Writ Petition are matters of legislative policy. (ii) Personal laws cannot be challenged as being violative of Part III of the Constitution. This Board submitted that the Supreme Court in Krishna Singh v. Mathura Athir (1981) 3 SCC 689, has held that the Part III of the Constitution does not touch upon the personal laws of the parties. This Court also observed that the High Court in applying the personal laws of the parties could not introduce its own concepts of modern times but should enforce the law as derived from recognized and authoritative sources. It is also submitted that since Part III of the Constitution does not touch upon the personal laws of the parties, Court cannot examine the question of constitutional validity of the practices of marriage, divorce and maintenance in Muslim personal law. (iii) Personal laws of a community cannot be re-written in the name of Social Reform. (iv) Article 44 of the Constitution of India which envisages a Uniform Civil Code is only a directive principle of state policy and is not enforceable. (v) The practices, sought to be reviewed by way of the present Suo Motu Writ Petition are protected by Articles 25 and 26 read with Article 29 of the Constitution of India. According to the Board the issue of Muslim Personal Law is a cultural issue which is inextricably interwoven with religion of Islam. Thus, it is the issue of freedom of conscience and free profession, practice and propagation of religion guaranteed under Article 25 and 26 read with Article 29 of the Constitution of India. The protection of Article 25 and 26 is not limited to matters of doctrine or belief, but it extends to the acts done in pursuance of religion. It is also submitted that the practice of marriage, divorce and maintenance, differs in each religion. Each religion views these practices in a different context and therefore the practices in each religion are unique and peculiar to that particular religion only. In such circumstances, one cannot look at the validity of the practices of one religion or judge them as being unequal with the rights in another religion because the practices in each religion are peculiar to only that religion and these practices have been cloaked with the protection under Article 25,26 and 29 so as to preserve the uniqueness of each religion. (vi) Courts cannot supplant its own interpretations over the text of scriptures. The Board submitted that “in our constitutional scheme, it is oft-repeated truism that the preamble of the Constitution encapsulates basic values thereof. Amongst other freedoms guaranteed under the provisions of the Constitution, the most cherished one is the freedom of conscience as contained in Articles 25 and 26 of the Constitution. The preamble clearly enshrines values of liberty of thought, expression, belief, faith, worship. Further, Article 25 of the Constitution, guarantees freedom of conscience and freedom to profess, practice and propagate religion. Article 25 guarantees individual freedom of conscience subject to public order, morality and health and to the other provisions of the third part of the Constitutions. Article 26 of the Constitutions grants freedom to every religious denomination or any section thereof to manage its own affairs “in matters of religion”. The Board submitted that the Constitutional scheme clearly provides that judiciary which is one of the important organs of the State shall not lay down religion for any religious denomination or section thereof and whenever the Court is confronted with any religious issues, it will look to the religious books of a particular denomination held sacred by it. In other words, there is no scope for the Court to import its own views while dealing with the religious questions or scriptures or beliefs of any religious denomination. (vii) Unique importance has been attached to religious scriptures in the Indian legal system and in Indian culture. According to the Board, before explaining different Ayats of Al-Quran, for the issues in the present Counter, it is necessary to understand status of religious scriptures assigned to them under Indian legal system / culture. The Indian Penal Code, 1860 contains Chapter XV – offences relating to religion – which inter alia has Section 295. The Supreme Court has in the case of S. Veera Bhadharan vs. E. V. Rama Swami Naicker reported in 1959 SCR 1211 widely interpreted Sec. 295 and has held that the words “any object held sacred by any class of person” must be given wide interpretation and should not be confined or limited to physical object like idols etc. and further unequivocally held that “Sacred books like Bible or Koran or Granth Saheb is clearly within the ambit of those general words”. (viii) Muslim Personal Law provides for the practices to be followed on the issues of marriage, divorce and maintenance and these practices are based on holy scriptures- Al – Quran and sources based on Al- Quran. The Board submitted that the issues arising in the present matter can only be decided as per Muslim Personal Law, which derives its sanctity from the Holy Quran and Hadith. According to the Board, all the sources of Muslim Personal law have been approved and endorsed by the Holy Quran and the practices of marriage, divorce and maintenance etc. are based on such sources all of which flow from the Holy Quran itself.